How to Remove Wood Stains. 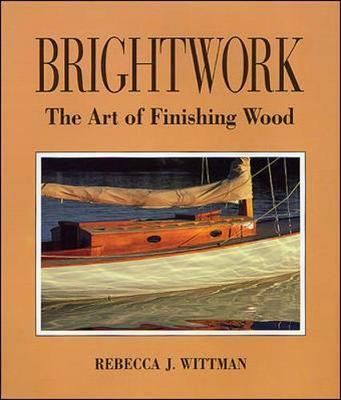 Removing wood stains from the bright work is one of those contentious issues the wooden boat owner must face. Unsightly marks are caused by mold, weathering or by chemical reaction between metals and tannic acid in the wood. Sanding is the best way to get down to good wood. However, sometimes if the stains are too deep bleaching is the only solution, unless you are prepared to stain the whole area darker to blend in the stains. Bleaching wood is accomplished by using highly reactive chemicals that break down the color in the wood. These bleaches are poisonous and caustic so, wear the appropriate protective gloves, safety glasses and if mixing dry bleach powders wear a dust mask. Knowing the cause of the stain will help you to select the correct bleach but in most cases you'll need to experiment on a trial area. You may find that a particular wood stain doesn’t react to a bleach, so you may have to try a different one. And not all woods react well, oak reacts well, whereas chestnut won’t, so always do a check on your wood stains first. There are three types of bleaches used on wood, peroxide or “two-part’ bleaches, chlorine bleach and oxalic acid. Oxalic acid is the one to try first, then if that doesn’t work chlorine and as a last resort one of the two part peroxides. Before trying any bleach it’s always worth trying to sand the offending wood stain clean, sometimes it is surprising how little material must actually be removed. Oxalic acid is particularly good at removing wood stains formed when iron and moisture come into contact with tannic acid in the wood. Woods such as oak and mahogany naturally contain a high amount of tannic acid. Oxalic acid can be used to remove this discoloration without affecting the natural color of the wood. 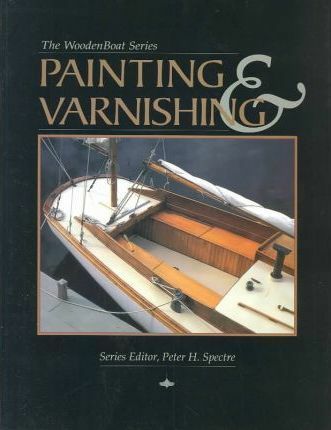 It can also be used to lighten the graying effects weathering, which is why it is found in most 'deck washes'. Oxalic acid comes in the form of crystals, which are mixed with warm water and then applied with a brush or sponge. Once the stains are gone you need to neutralize the acid so it will not react with your wood finish. Mix up two tablespoons of borax in a quart of hot water. Or use a solution made from one-quart water with two heaping tablespoons of bicarbonate of soda. Saturate a rag with the solution, wipe the wood clean, rinse it again with clean water, and allow it to dry thoroughly. Or use the solution recommended by the instructions that come along with the bleach. Chlorine is a strong oxidizer that is more appropriate for removing or lightening dye stains. A weak chlorine based bleach will probably require too many applications to be effective. A strong solution can be made from calcium hypochlorite, the stuff used in swimming pool bleach. It is inexpensive and can be purchased from a pool supplies retailer. These are the two-part bleaches. The parts are usually sodium hydroxide and strong hydrogen peroxide. When they are mixed together they become a strong oxidizing substance. This is very effective at removing the natural color from wood. These two part solutions need to be washed off with a 'neutralizer' such as plain water, water mixed with white vinegar or the solution recommended in the instructions that come along with the bleach. Sand your wood down to a reasonable finish before bleaching, so the bleach can do its work properly. Once the wood stains have been bleached you should only sand it lightly with a fine grit to remove the grain that has been lifted by the bleach and the neutralizer. Use some cheap disposable brushes to apply the bleach as they will not be fit for any other use afterwards. If using oxalic acid, mix a solution of dry crystals in hot water and apply to the entire surface, not just the stain. You may need several applications allowing it to dry overnight drying in between coats. Once you are satisfied with the results and the area is perfectly dry any residual oxalic acid must be washed off before finishing. If using a two part peroxide bleach, wash the area down with mineral spirits after sanding and allow it to dry well for a couple days. Then using a paint brush, apply a generous even coat of the first part of the bleach. Make sure that there are no drips or missed spots, then wipe off any excess with a rag. Allow this to stand for about 5 or 10 minutes. Then apply part two, using a separate brush. Make sure that you cover all the areas treated with the first coat. Again wipe off any excess with a clean rag and allow it to sit for a few hours before washing down with the neutralizer. Allow to dry at least overnight before attempting to finish or if necessary, applying a second application. If you end up with a few streaks or an uneven tone you may have to rectify this with a final treatment of oxalic acid. The bleaching will remove the woods natural color so you may need to apply some staining after bleaching. One way to avoid bleaching might be to use a darker stain to blend the wood stains. You could try a pigmented stain on an area you want to make lighter, but this will have only a minor effect and you will hide the wood’s grain. Pigmented stains, unlike dyes are not as transparent. Bleach can be dangerous if not handled properly. Always use rubber gloves, eye protection and avoid spills. If you do get any on you skin rinse thoroughly with water.